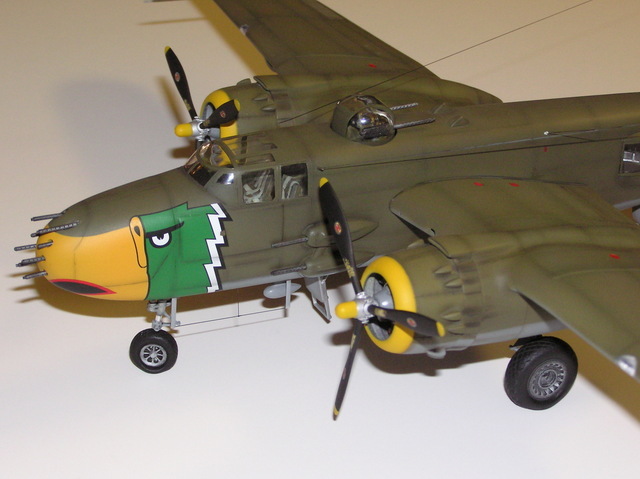 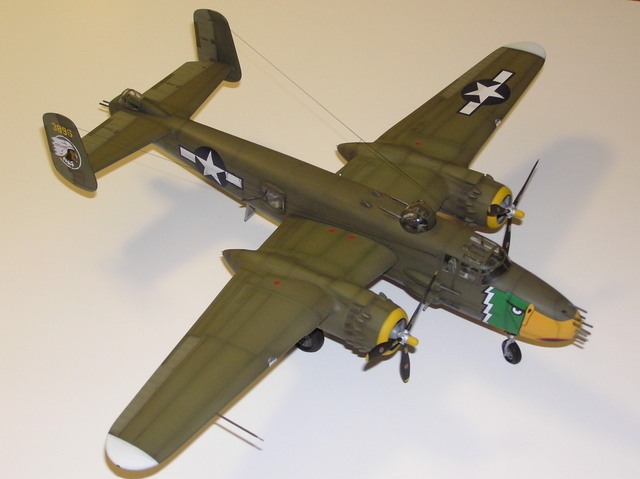 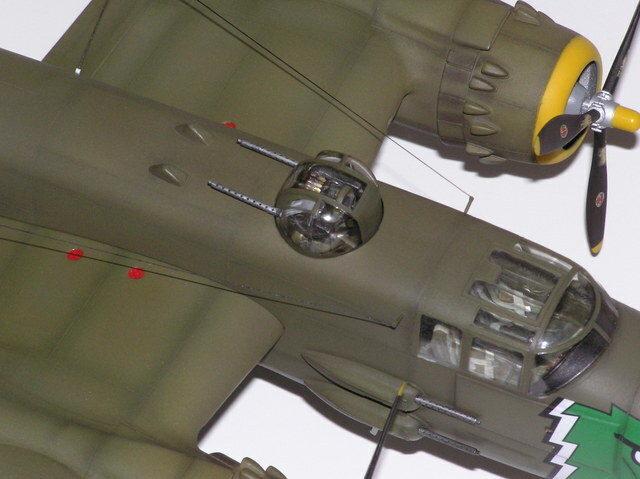 Here is my 1/48 scale Monogram "Air Apache" B-25J Mitchell. 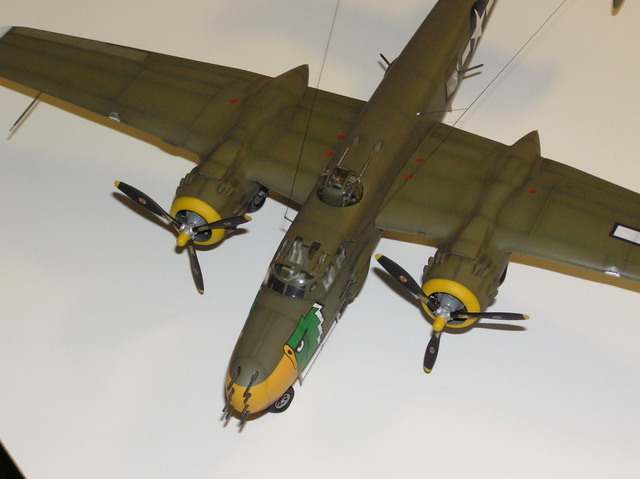 I used True Details wheels, detailed the landing gear, scratch built the radio compass sense antenna, added detail to the machine guns, cockpit and top turret. 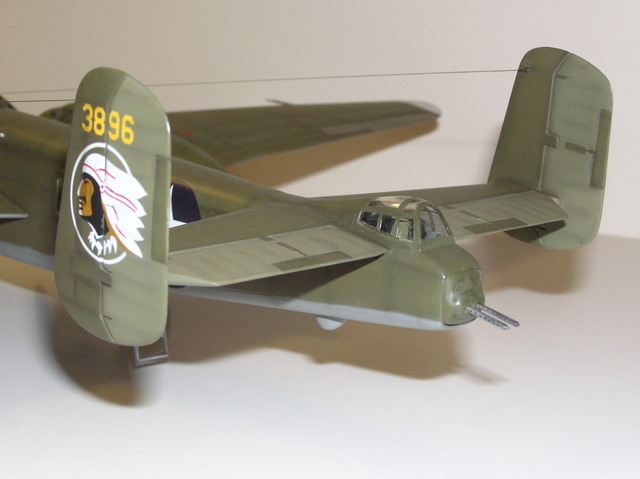 I finished the model with Aeromaster decals and Testor's Model Master enamels. 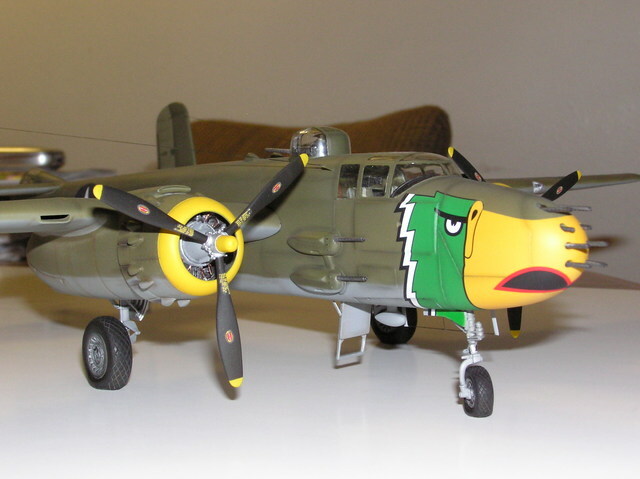 The model was pre-shaded with a dark green, then post-shaded with pastel chalks.